Not to be confused with Anglo Irish Bank. Allied Irish Banks (AIB) is one of the so-called "Big Four" commercial banks in Ireland. AIB offers a full range of personal and corporate banking services. AIB Capital Markets is the division of the company that offers international banking and treasury operations. The bank also offers a range of general insurance products such as home, travel, and health insurance. It offers life assurance and pensions through its wholly owned subsidiary, Ark Life Assurance. In December 2010 the Irish government took a majority stake in the bank, which has since grown to 99.8%. AIB's shares were formerly traded on the Irish Stock Exchange and the London Stock Exchange, but its shares were delisted from these exchanges following its effective nationalisation. The remaining publicly traded shares of AIB are now listed on the Enterprise Securities Market of the Irish Stock Exchange. In 2009, Allied Irish Banks along with its competitor Bank of Ireland accepted a 3.5 billion euro bailout from the government of the Republic of Ireland as a part of the Bank Recapitalisation scheme. By March 2011 the total sum of required bailout was expected to climb up to 13.3 billion euro. Allied Irish Banks is usually referred to, both inside and outside the company, simply as AIB and often by its trade name of "Allied Irish Bank" (singular). In Northern Ireland, however, the bank trades as First Trust Bank, while in Great Britain, it is called "Allied Irish Bank (GB)"—the only part of the operation where the full name, in the singular, is still in day-to-day use. Initially, the bank operated under the names of its former constituent companies, alongside a new AIB logo, a circle divided in three with an "A" at the centre. From 1970, these were replaced by "Allied Irish Banks". In 1990, AIB introduced a new logo (prompted, it was said in some quarters, by the remarkable similarity between its previous logo and that of Mercedes-Benz.) Since then, the bank has preferred to be referred to as "AIB", though "Allied Irish Banks plc" remains its legal name. The bank is often referred to colloquially as "AIB Bank", an example of a redundant acronym. This is due to the name "AIB Bank" being adopted for the Republic of Ireland branch banking business at the time of the 1990 rebrand (with the word "Bank" being printed in the green stripe in the logo). 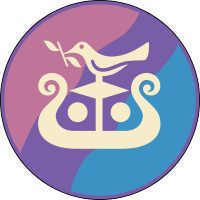 This version of the logo is no longer used in print advertising but can still be seen on the façades of most AIB branches in the Republic. The 'Trustee Savings Banks' similarly rebranded to "TSB Bank" in 1993. The new logo features a depiction of Noah's Ark, after a carving on a Celtic cross at Killary Church near Lobinstown in County Meath, which dates from the 9th century. Allied Irish Banks Limited was formed in 1966 as a new company that acquired three Irish banks: Provincial Bank of Ireland, the Royal Bank of Ireland, and the Munster & Leinster Bank. The banks saw an alliance as the best way to overcome the fragmented nature of the Irish banking industry. Ireland in the mid-1960s was changing fast and the merger strengthened the banks’ position in the emerging global business era. In 1966, AIB's aggregate assets were €323.8 million—as at 31 December 2005, the AIB Group had assets of €133 billion. 1825 Provincial Bank commenced operations, pioneering joint stock branch banking in Ireland. It also established a branch in London. 1836 Royal Bank of Ireland (RBI) commenced operations. It was known for its mercantile links. 1837 Shaw’s Bank merged with Royal Bank. 1864 The Munster Bank is established. 1867 The Munster Bank purchased some of the branches of the unsuccessful Union Bank of Ireland. 1870 The Munster Bank acquired the long established private bank David La Touche & Son. 1885 The Munster Bank failed due to mismanagement and fraud and is liquidated. However, Munster and Leinster Bank commences operations. Eventually it will become the largest of the three banks with the most extensive branch network. 1923 The Royal Bank of Ireland bought the Irish Free State business of the Belfast Banking Company, which in turn bought the Northern Ireland business of the Royal Bank. Over the decades, AIB has become an increasingly international organisation. It created a branch network in Britain in the 1970s. In 1983, AIB invested in First Maryland Bancorp in the USA. In July 1991, AIB merged the Group's interests in Northern Ireland with those of TSB Northern Ireland to create First Trust Bank. In July 1997, AIB acquired Dauphin Deposit Corporation which it merged with First Maryland Bancorp to form Allfirst in 1999. After suffering large losses due to the activities of rogue trader John Rusnak at Allfirst (see below) in April 2003, AIB completed a deal merging Allfirst with M&T Bank Corporation, which is headquartered in Buffalo, New York. In November 2010, AIB sold its 22.5% stake (26.7 million shares) in M&T. The shares were sold at $77.50/share and generated $2.1 billion. The sale was part of AIB's effort to raise capital amidst the ongoing financial crisis in Ireland. AIB maintains representative offices in the United States in Chicago, Philadelphia, Atlanta, Los Angeles, and White Plains. AIB invested in Poland by gradually building a majority shareholding of 60.1% in Wielkopolski Bank Kredytowy (WBK) between 1995 and 1996. In June 1999, AIB reached an agreement with the Polish State Treasury to acquire an 80% shareholding in Bank Zachodni SA. In June 2001, AIB completed a merger of the two banks to create Bank Zachodni WBK SA. AIB now owns 70.5% of the combined bank, which is a leading bank in Poland in terms of asset size and key product market shares. On 9 September 2010 AIB reached agreement to sell a 66% stake in BZ-WBK to Santander for 3.1 billion euro, the balance of the shares will be sold on the open market. Any purchase over 66% would have forced Santander to make an offer to buy the entire company. Between 1999 and 2001 AIB had an interest in Keppel TatLee Bank in Singapore, but withdrew after Oversea-Chinese Banking Corporation (OCBC) acquired Keppel TatLee. At the beginning of 2008 AIB entered the Latvian, Estonian and Lithuanian markets by acquiring AmCredit mortgage finance business from the Baltic American Enterprise Fund. Now AIB operates as a branch of this financial group in Latvia, Estonia and Lithuania. In 2008 AIB operated through its local branches providing financial services under established AmCredit brand in all three countries. AmCredit operated as a single product mortgage business, but the company is expanding the range of banking products. All AmCredit's mortgage customers automatically became customers of the AIB branch in their country. The goal of AIB is to become a full service customer focused bank in the Baltic region. In February 2008, AIB entered into an agreement to acquire a 49.99% interest in Bulgarian American Credit Bank AD, a specialist provider of secured finance to small and medium-sized companies in Bulgaria. The Irish government received shares of €3.5bn in AIB in 2009 as part of measures to recapitalise the bank. In April 2010, AIB announced that the Irish government would receive a stake of 16% or 17% in the bank. The Irish State had been due to receive dividends on those shares, but EU regulations state that banks that get State aid cannot make cash payments. This forced AIB to give the government shares instead. The Can of Worms at ICI was the headline in Business & Finance magazine on 8 November 1984. The Insurance Corporation of Ireland (ICI) was a wholly owned subsidiary of AIB when it collapsed in 1985 with losses of over £200 million. When it was discovered in November 1984 that ICI was operating below the statutory reserve ratio, a request for further capital was made to AIB — ICI had returned a profit of £80 million the previous year. This collapse occurred at a time of deep economic recession in Ireland. The level of Government debt at that time was 116% of GDP. But the Irish taxpayer bailed ICI out of its difficulties. The Irish Government did so to ensure a continuation of the insurance business and to protect policyholders. AIB claimed that it could not resolve the problems of ICI without putting its core banking business in jeopardy. The investment of £85 million by AIB in ICI was written off and the cost to the Irish taxpayer was £400 million. John Rusnak, a "lone wolf" currency trader at Allfirst, racked up losses of almost US$700 million during Michael Buckley's tenure as group chief executive. It was Ireland's biggest banking scandal and the fourth-biggest banking scandal in the world when it came to light on 4 February 2002. The €90 million settlement that AIB reached with the Revenue Commissioners in respect of Deposit Interest Retention Tax evasion in 2000 was the highest tax settlement in the history of Ireland. The bank's internal auditor, Tony Spollen, highlighted a potential Deposit Interest Retention Tax (DIRT) liability of £100 million for the period 1986 - 1991, but Gerry Scanlon, the group chief executive at that time rubbished this estimate, describing it as "infantile". The Oireachtas Sub-Committee Inquiry into DIRT hearing on 27 September 1999 concluded that it was "extraordinary" when Scanlon told the Inquiry that he was unaware of the scale of the DIRT issue. The Revenue Commissioners on 28 March 2006 imposed a tax settlement plus penalties on four former senior executives for their interest, while employed by AIB, arising from investments they maintained in Faldor Limited. Faldor was an investment company set up in the British Virgin Islands that between 1989 and 1996 hold funds on behalf of these senior AIB executives as well as people connected to them. Allied Irish Banks Investment Managers then managed the funds in the company on their behalf; at the time Mr Gerry Scanlan was CEO of the bank. Faldor subsequently benefited from inappropriate deal allocations, and artificial deals that amounted to €48,000 out of AIB Investment Managers' own funds. Gerry Scanlon, chief executive AIB Group when this arrangement was in place, of Glenageary, County Dublin; tax and penalties amounted to €206,010. Diarmuid Moore, former director of corporate strategy at AIB, Malahide, County Dublin; tax and penalties amounted to €51,044. Roy Douglas, chairman, Irish Life & Permanent Plc and formerly of AIB, Howth, County Dublin; tax and penalties amounting to €53,245.43 was secured. Patrick Dowling, former deputy chief executive, late of Delgany, County Wicklow; the estate paid tax and penalties of €13,000. In 2004 it was revealed that the bank had been overcharging on foreign exchange transactions for up to ten years. The overcharging affected 3 million purchase transactions of foreign drafts. Initially the projected amount of overcharging was €14m. However the bank has set aside €50m to cover the cost of refunds. The Central Bank of Ireland published a report into an investigation of AIB Group concerning overcharging its own customers for FX transactions and deal allocation and other associated issues. This revealed excess charges of €34.2 million, including interest. AIB failed to comply with the law for a period of almost 8 years and that certain staff and management were fully aware of this at the time. The Central Bank of Ireland knew that Allied Irish Banks were overcharging consumers in FX fees but failed to act for a number of years. They gave a parliamentary inquiry the "false impression" that they were unaware of it. The whistleblower who gave the CBOI the information was requested to come to a meeting with them but was only invited to withdraw the allegations of wrongdoing and at the same time found himself removed from his position at Allied Irish Banks without any reason given. After his case was highlighted in the media, the CBOI officially apologised on how the authorities treated him, eight years after alerting them of overcharging. AIB announced on 27 September 2006 that the final outlay in respect of restitution and interest arising from overcharging amounted to €65 million and that this included a donation of €20.6 million on behalf of its customers to an unspecified charity that it was unable to identify. No employee or officer of the banks was disciplined. Trust Funds' fees charged at double the rate for withdrawals, management fees and other charges: number of customers impacted not disclosed; period of overcharges 1972-1986, and into the 90s. No regulatory action was taken. Between 1989 and 1996, funds of certain senior executives of AIB at the time and/or related parties were managed by Allied Irish Investment Managers Limited (now AIBIM) through a British Virgin Islands investment company, Faldor Ltd.
Faldor benefited from inappropriate favourable deal allocations, by way of artificial deals, amounting to approximately €48,000 out of AIBIM's own funds. We have no evidence to indicate that the beneficiaries of Faldor influenced or were aware of these allocations. AIBIM's own trading funds were also used to boost, through the unacceptable practice of artificial deals, the performance of certain clients' portfolios, other than those of Faldor. Further inappropriate deal allocation practices relating to eight transactions in the period 1991 to 1993 were identified which adversely affected the performance of two specialist unit trusts, amounting to a total of €174,000, to the advantage of other clients. These were unrelated to Faldor. While the Internal Audit function of AIB did identify some inappropriate dealing practices in 1991 and 1993, there is no evidence that the Faldor account was identified in these audits. No disciplinary action was taken against individuals involved in these practices at the time and compensation was not paid to the unit trusts affected. When this episode of law breaking was exposed a disciplinary process was put in place within AIB and compensation has been paid to those who were disadvantaged. Tom Mulcahy, group chief executive of AIB from 1994 to June 2001, resigned the chairmanship of the board of Aer Lingus on 28 May 2004 following the disclosure of this matter. In 2006, the Moriarty Tribunal published its report into the financial affairs of former Taoiseach Charles Haughey. Mr. Justice Moriarty found that AIB had settled a million-pound overdraft with Haughey on favourable terms for the politician shortly after he became Taoiseach in 1979; the tribunal found that the leniency shown by the bank in this case amounted to a benefit from the bank to Haughey. According to the report, the bank showed an extraordinary degree of deference to Mr. Haughey despite his financial excesses. The bank is currently involved in a number of "sale and leaseback" deals with its properties. 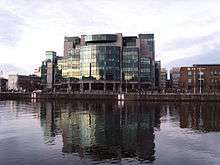 In 2005 it sold an extension to its Ballsbridge Bankcentre headquarters for €367m. There are also plans to sell the remainder of the building for €275m, as well as the bank's branch network for €421m. In February 2006 the bank announced record pre-tax profits of €1.7 billion, a 23% rise on the previous year and the largest ever for an Irish bank. The majority of the increase came from its Republic of Ireland operations, but with its Capital Markets, Northern Ireland, Great Britain, Poland and American divisions also making significant contributions. This led to criticism from some newspapers, as their profit per customer was some three times that of other European banks. Former Labour Party leader Pat Rabbitte called for more competition in the Irish banking sector. In August 2006 the bank again announced record profits for the first half of 2006, making €1.2 billion before tax, equating to €1.2 million per hour. AIB were the main sponsors of the 2006 Ryder Cup, which was held at The K Club in Straffan, County Kildare. In May 2006 the bank launched a €5 million advertising campaign for the tournament. Dermot Gleeson SC was appointed a director of the bank in May 2000 and chairman of the board in October 2003. His term of office was extended on 8 September 2006 to April 2011 but he vacated his post in late 2008. The international credit crunch presented the first challenge to AIB — namely a dramatic fall-off in liquidity. As AIB depends to a significant extent on the international financial markets for liquidity due to an insufficient deposit base, this has impacted the bank severely. The Irish government stepped in with a guarantee which effectively granted a triple A rating on AIB debt, thus freeing up its access to finance. The second and more serious problem, unacknowledged by bank management, the financial regulator and the Irish government, is solvency. The question concerning solvency has arisen due to domestic problems in the crashing Irish property market. AIB, like most Irish financial institutions, has substantial exposure to property developers in their loan portfolio. These property developers are currently suffering from gross over-supply of property, much still unsold, while demand has evaporated. The massive immigration from Eastern Europe which had propped up demand has now reversed due to rapidly rising unemployment in Ireland. Irish property developers own speculated billions of euros of overvalued land parcels such as urban brownfield and greenfield sites, and also agricultural land at an average value of €23,600 per acre (US$32,000 per acre or €60,000 per hectare) which is several multiples above the value of equivalent land in other European countries. AIB correctly identify a systematic risk of triggering an even more severe financial crisis in Ireland if they were to call in the loans as they fall due. The loans are subject to terms and conditions, referred to as "covenants". Although AIB is not one of the banks listed as waiving these covenants, confidence in the Irish banking system is low as a result of other Irish banks electing to waive these financial safeguards in fear of provoking the (inevitable) bankruptcy of many property developers and banks are thought to be "lending some developers further cash to pay their interest bills, which means that they are not classified as 'bad debts' by the banks." Furthermore, AIB's balance sheet indicated only limited impairment (bad debt) provisions. Their 2008 1st half financial report only accounts for an impairment provision of 0.21%. This does not appear to be consistent with the real negative changes taking place in property market fundamentals. The Central Bank told the Oireachtas Enterprise Committee that shareholders who lost their money in the banking collapse are to blame for their fate and got what was coming to them for not keeping bank chiefs in check, but did admit that the Central Bank had failed to give sufficient warning about reckless lending to property developers. In contrast, on 7 October 2008, Danske Bank wrote off a substantial sum largely due to property-related losses incurred by its Irish subsidiary - National Irish Bank. Write downs by the domestically owned Irish banks are only now beginning to take place. AIB's then subsidiary Goodbody Stockbrokers continually issued "Buy" recommendations for its then parent, notwithstanding its worsening financial position, and used Client Discretionary mandates to invest their monies in Allied Irish Banks at the start of the 2008-2011 Irish banking crisis in November 2008, which generated adverse comment. When asked if they had ever issued a sell notice on AIB, a Goodbody spokesman said "I don't know if we even keep records going back that far". On 12 February 2009 the Irish government arranged a €7 billion rescue plan for AIB and Bank of Ireland. The bank's capital value had fallen to €486 million, rather less than its 70% holding in Bank Zachodni in Poland. Goodbody Stockbrokers was sold as part of the restructuring plan for €24 million. The Financial Times commented that the lowly price tag placed on Ireland’s oldest stockbroker and "one-time bastion of Ireland’s Protestant business elite" was just another measure of the dramatic decline of the Irish economy. AIB were likely to have had to indemnify the new owners of Goodbody Stockbrokers against any legal action arising from the firm's boom-time trading. On 30 September 2010, the Irish Government announced plans to use its National Pensions Reserve to inject €3.7 billion of capital into Allied Irish Banks, becoming the majority shareholder and effectively nationalizing the bank. AIB needed to raise additional capital due to increasing losses on bad loans incurred from the real estate bubble, and Irish Finance Minister Brian Lenihan stated that the bank was unable to attract sufficient interest from private investors. As part of the deal, Chairman Dan O'Connor agreed to quit the bank while managing director, Colm Doherty, announced he would leave before the end of the year after 13 months in the job. 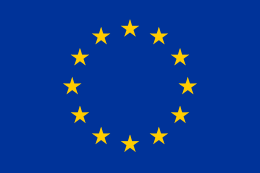 In December 2010, the European Commission approved the plans, and the Government passed emergency legislation to allow the deal to take place without requiring the approval of existing shareholders. The High Court subsequently approved the deal on 24 Dec 2010, allowing the Irish government to take a 49.9% stake in the bank, rising to 92.8% following disposal of the Polish subsidiary to Banco Santander. AIB became the fourth of Ireland's "Big Six" financial institutions to be nationalized, following Anglo Irish Bank, Irish Nationwide, and EBS Building Society. AIB was delisted from the main market of the Irish Stock Exchange on 25 January 2011 and the NYSE on 26 August 2011. AIB filed a lawsuit against Oracle Financial Services, India in January 2011, claiming breach of contract on Flexcube implementation. The ISDA Determinations Committee, consisting of 15 USA and European banks, decided that a Restructuring Credit Event occurred with respect to Allied Irish Banks on 9 June 2011. ↑ AIB Press Office. "Biographies". AIB. 1 2 "AIB's last day on main Dublin market". Irish Times. 25 January 2011. Retrieved 2011-02-01. ↑ "AIB and BoI to get €3.5bn each in bailout - - Irish Examiner". Irish Examiner. 12 February 2009. Retrieved 27 July 2009. ↑ "Banks need fresh €24 billion - Central Bank". RTÉ News. 31 March 2011. Retrieved 31 March 2011. ↑ "Polish sale nets AIB €3.1 billion". RTÉ News. 10 September 2010. ↑ Slater, Steve (10 September 2010). "Santander wins 4 bln euro auction for Zachodni-FT". Reuters. ↑ "General Insurance Convention Study Group" (PDF). International Actuarial Association. 1985. Archived (PDF) from the original on 22 February 2006. Retrieved 14 August 2005. ↑ "Top bank hits headlines again for the wrong reasons". The Irish Times. 8 May 2004. ↑ Siobhán Creaton; Conor O'Clery (2002). Panic at the Bank How John Rusnak LO$T AIB $691,000,000. Gill & Macmillan Ltd. ISBN 0-7171-3563-2. ↑ BBC News "Rogue trader 'Mr Middle America'" Check |url= value (help). BBC News. 7 February 2002. ↑ Jacque, Laurent L. (2010). Global Derivative Debacles: From Theory to Malpractice. Singapore: World Scientific. ISBN 978-981-283-770-7. Chapter 9: Allied Irish Banks, pp. 125–141. ↑ Spollen, Anthony L. (2002). Corporate Fraud: The Danger from Within. Oak Tree Press (Ireland). ISBN 1-86076-038-4. ↑ "Parliamentary Inquiry into DIRT". Public Accounts Committee. 27 September 1999. ↑ "The former AIB head apologised for causing offence". The Irish Examiner. 28 September 1999. ↑ "AIB's Faldor four on Revenue list". RTÉ News. 28 August 2006. ↑ "AIB's Faldor four on Revenue list". RTÉ News. 28 March 2006. Retrieved 14 August 2006. ↑ "Underdeclaration of Income Tax and Capital Gains Tax. Faldor Revenue enquiry case" (PDF). Iris Oifigiúil. 28 March 2006. ↑ "Report of Investigstions into AIB Group on Foreign Exchange and other charging issues and Deal Allocation and Associated Issues" (PDF). Irish Financial Services Regulatory Authority. 7 December 2004. ↑ "AIB pays out further €31.6m due to overcharging scandal". Irish Independent. 27 September 2006. ↑ report fx and charging issues.pdf "Progress Report, Foreign Exchange and Charging Issues AIB Group" Check |url= value (help) (PDF). Irish Financial Services Regulatory Authority. 23 July 2004. ↑ "Opening Statement to Joint Oireachtas Committee". Financial Services Regulator. 19 January 2005. ↑ Haughey payments 'devalued' democracy — The Irish Times newspaper article, 19 December 2006. ↑ "AIB raises forecast after six-months profit tops €1.2 billion". The Irish Times. 2 August 2006. ↑ "Irish Bank Deposits get Government Guarantee". Money Guide Ireland. 30 September 2008. Retrieved 22 December 2012. ↑ "Irish Agricultural Land Research" (pdf). Savills Hamilton Osbourne King. May 2008. Archived (PDF) from the original on 29 October 2008. Retrieved 8 October 2008. ↑ Oliver, Emmet (31 August 2008). "New waive of Irish banking". Sunday Tribune. Retrieved 1 October 2008. 1 2 Collins, Liam (12 October 2008). "Top developers see asset values dive two-thirds". Irish Independent. ↑ "AIB Half-Yearly Financial Report 2008". Allied Irish Banks. 30 July 2008. Archived from the original on 30 October 2008. Retrieved 18 September 2008. ↑ Carswell, Simon; Reddan, Fiona (7 October 2008). "Another traumatic day for investors in Irish banks". Irish Times. Retrieved 7 October 2008. ↑ "Shane Ross: Goodbody takes a bath in AIB". Irish Independent. 7 February 2010. ↑ Brennan, Joe (15 January 2010). "Goodbody may be sold as part of AIB restructure". Irish Independent. ↑ "Cantillon". The Irish Times. 7 July 2010.